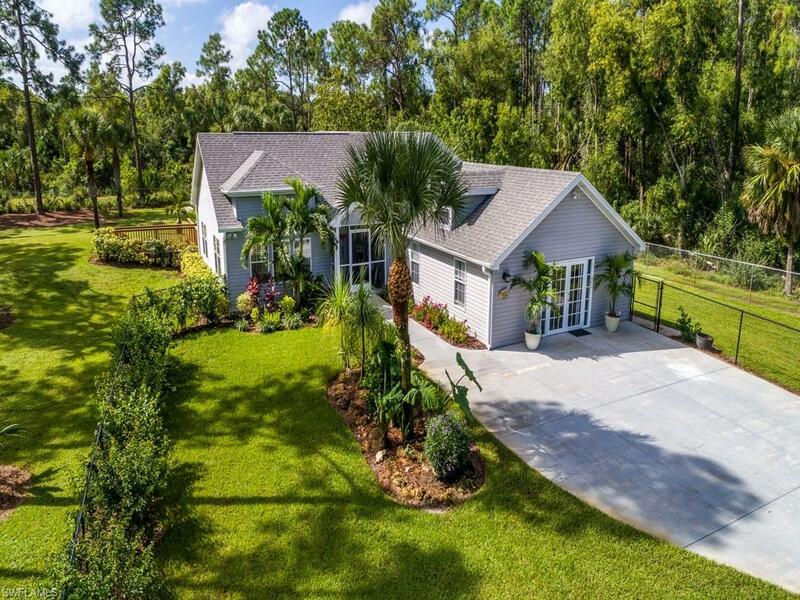 1601 Santa Barbara Blvd, Naples, FL 34116 (MLS #218063560) :: Clausen Properties, Inc.
Rare opportunity to own an amazing residence on over 2.3 acres west of Santa Barbara Blvd. 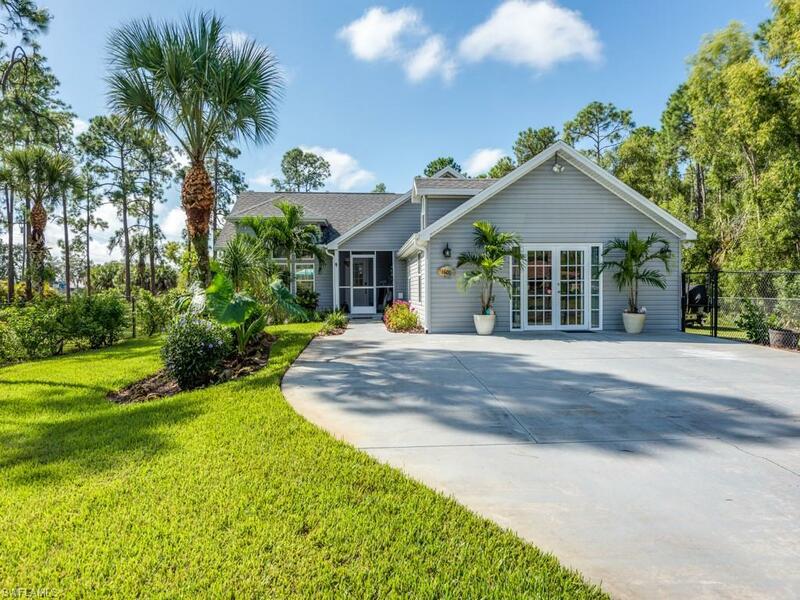 This central Naples location offers easy access to destinations throughout the area. 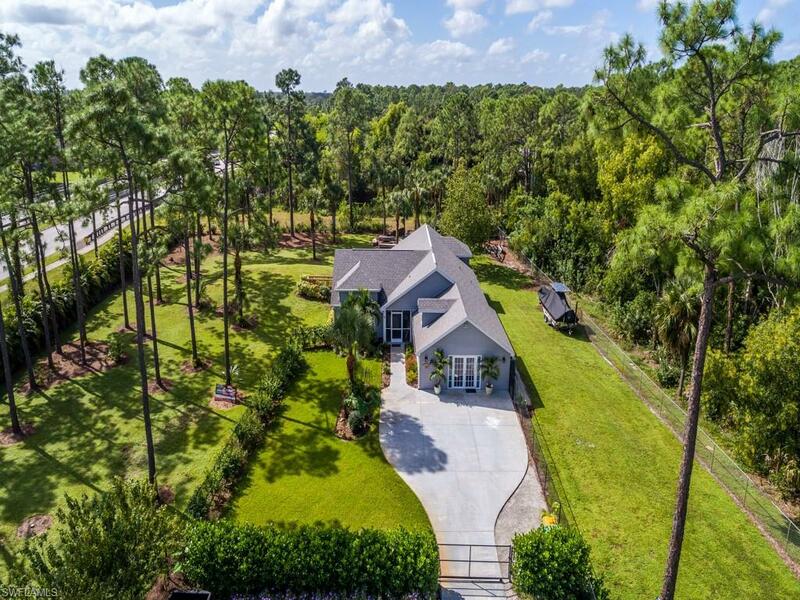 Tastefully updated, and impeccably designed, this home is sure to impress. Inside is light and bright, combining both a modern color palette, with elegant rustic accents. Enjoy carpet free living, as home features ceramic tile, and wood laminate flooring. Large kitchen is appointed with bright white cabinets, granite counters, a functional island, and stainless steel appliances. Soaring ceilings, and generously sized rooms make this home feel very spacious. Master bedroom features an updated on-suite bathroom, complete with dual sinks, an enormous custom shower, and separate oversized soaking tub. The outside of the home is just as exciting. Off the back of the home is a beautiful wooden deck, perfect for relaxation and entertaining. 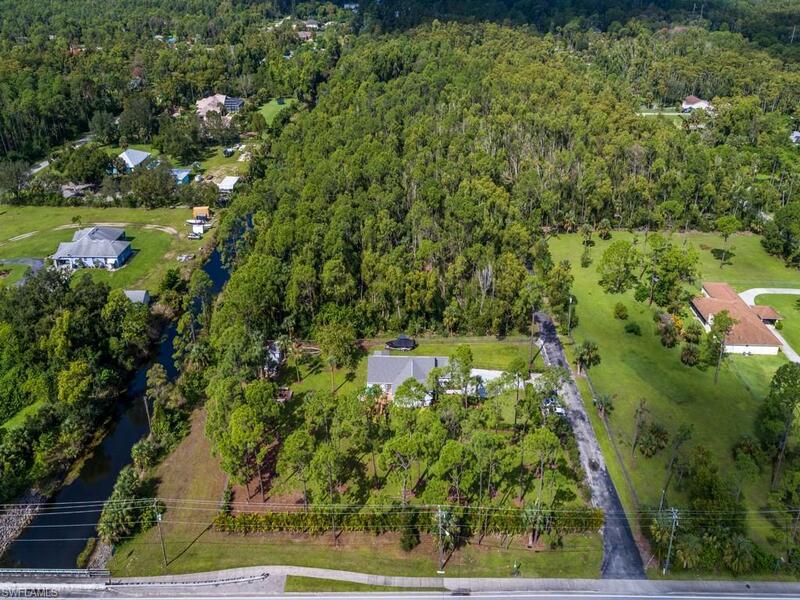 The area around the home is fully fenced, and is plenty of yard space, a canal in the back, a storage building, and even a fire pit! All major home components are nearly new, so you can have peace of mind home ownership for years to come. Schedule a showing today!